Level 7 works through a network of quality associate consultants to deliver focused and results-driven learning and development strategies. Experiential action based learning is at the core of what we deliver. Our focus is to ensure the continuous alignment of personal development for leaders and emerging leaders with strategic development of their organisations. The Director of Level Seven, Dorothy Foote, brings significant experience as a senior manager and academic. She is a passionate facilitator of learning through integrating tailored formal and informal development interventions with a bespoke coaching approach. ‘As a coach and facilitator of development programmes, I work with a wide range of organisations from the public and private sectors. I am also Course Director for the Undergraduate Diploma in Coaching at the University of Cambridge Institute of Continuing Education and tutor on the Certificate in Coaching, working with a diverse group of students from around the globe. Prior to setting up Level 7, I was a principal lecturer in a university business school managing the academic division of HRM and OD. I was involved in the management and delivery of the CIPD programme for over 15 years. This brought me into close contact with key HR professionals across the midlands and south of England and gave me valuable insight into the issues faced by organisations in developing and delivering people focused strategies and solutions. I have also worked with a range of commercial clients from the public and private sectors to deliver bespoke skills development and accredited masters level programmes. Some of my past clients have included Rank Gaming, Medical Research Council, Park Resorts, Wärtsilä, Tata Consultancy Services and Northamptonshire Borough Council. Before entering academia, I worked as an HR Manager in the public and private sectors including BAA, Grant Thornton Chartered Accountants and the NHS. I am a Fellow of the Chartered Institute of Personnel and Development, a member of the Association for Coaching, the European Mentoring and Coaching Council and the Professional Mediators’ Association. In my free time, I am an enthusiastic walker and ‘Scandi Noir’ fan’. Gill is a co-founder of Level 7. She has recently returned to the UK following 5 years working for the Asian Institute of Management (AIM) in the Philippines. Returning to Level Seven in an associate capacity, Gill is a key player in our ongoing research into developing leadership behaviours that support innovation. Gill held a teaching role as an Assistant Professor in the Department of Leadership & People Management and was also the previous Head of the School of Executive Education. During her time at AIM she taught on their degree programs, including MBA, EMBA, MSc. in Innovation & Business and the Masters in Development Management. In addition, she designed and delivered executive development leadership programs for a range of corporate clients including Globe Telecom, Jollibee Foods, Lafarge, Security Bank and Macquarie. 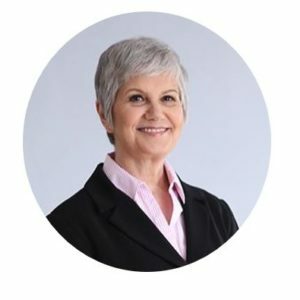 Gill brings expertise in cross cultural learning and development and a passion for innovation, design thinking and coaching. She is a key player in our ongoing research into developing leadership behaviours that support innovation. Gill is a qualified workplace coach and workplace mediator. 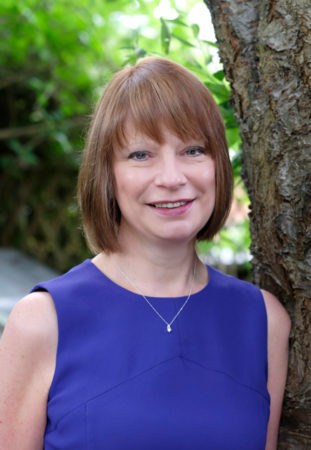 Her earlier career spanned business and education working with a variety of industries and companies including Tata Consultancy Services, Hewlett Packard, the Big Lottery Fund, Dorset County Council, NHS and HM Treasury.  We’d love to tell you more about how we can help you so call 07919 458485 or complete our contact us form for a free confidential consultation or to arrange a free taster session for any of our services.